It is a routine practice for flight attendants to ask passengers on board an airplane to switch off or put their smart devices on flight mode. This warning is repeated with all seriousness, especially when the plane if taking-off or about to land. 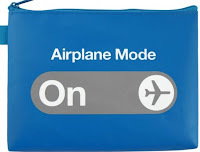 When the plane has taken off and gained stability in the air, those who have their devices off can switch it on, but it is still recommended that they put it in flight mode. Passengers obey the instruction without asking about why they are being told to put their Smartphones in flight mode. Today, we are lucky to have some aviation experts who will educate us on what will happen if passengers refuse to switch their devices to flight mode while on board an airplane. We acknowledge that we sourced the article from the Tech Worm. The shortest answer a passenger will get from a flight attendant is a failure to switch off will result into the device’s signals interfering with the plane’s electrical and telecommunication systems. So, the next question will be, if the signals interfere with the plane’s communication systems, what will happen next? Can it cause a malfunction, or even lead to the plane crash? The attendant might not be able to give a detailed answer to these questions, so let us now hear what the experts have to say. According to aviation experts, there is no evidence that signals from passengers’ electronic devices have ever caused a plane to malfunction and crash. The experts say that the reason for prospective safety concerns on the devices is due to when you are more than 10,000 feet in the air, your cell phone signal bounces off multiple towers, sending out a stronger signal. This is something that might congest the networks on the ground. Again, if you do not switch your device to flight mode, it can annoy pilots by causing an unpleasant sound for air traffic controllers. It is said a Smartphone’s radio emissions can be very strong. It can go up to about 8 Watt per square meter. Repetition of this extreme noise from passengers’ devices could cause the crew to miss a crucial radio call from air traffic control. A pilot wrote in a blog post for Airline Updates that transmitting mobiles can cause audible interference on an aircraft’s radios, saying that it is not that a critical safety concern. “Your phone will probably annoy a few pilots and air traffic controllers. But, most likely, not badly enough for them to take action against you if that’s what you want to know. You may have heard that unpleasant noise from an audio system that occasionally happens when a mobile phone is nearby. I actually heard such noise on the radio while flying. It is not safety critical, but is annoying for sure,” the pilot wrote. According to the pilot, those problems are something like the noise that can be heard when a Smartphone rings near to a speaker: A slow, percussive thumping. But instead of coming out of a speaker, it can be heard through the headsets that are worn by pilots. He adds that if 50 people on board the plane did not turn their Smartphone to flight mode, it would cause a lot of radio pollution, admitting that there has never been a case of a Smartphone or any device causing a plane to crash. So, now you know why you are being asked to put your phone on flight mode while on board a flight. You also know the consequences of failing to do so. We advise that when you are flying, always stick to the rules onboard.